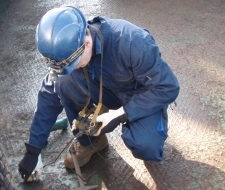 Harbort Klaipeda delivers services that involve assessment and repair of ship hull structures including issuance of all relevant documentation. We aim our business activities at supplying technical documentation of proper quality and within set time to our customers including optimal technological solutions of repair. We have implemented principles of mutually beneficial cooperation between all interested parties such as customer, our staff, and representatives of supervising and controlling organizations. Welcome to Harbort Klaipeda official website. It's a pleasure for us to be useful for you.